Apple's fall event will be all about hardware. 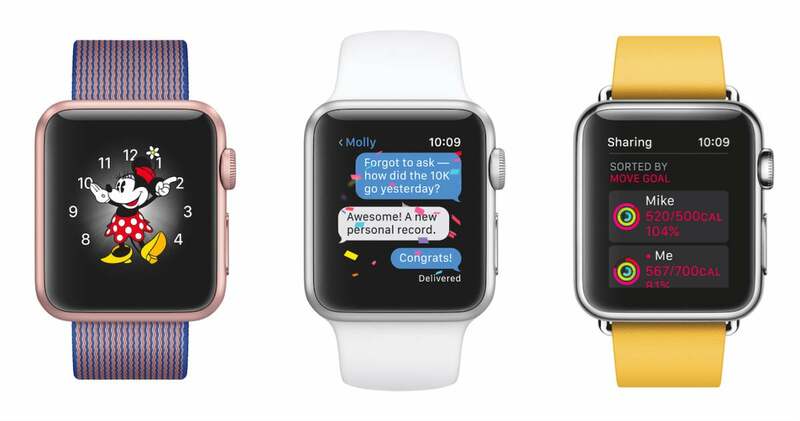 Apple has already taken the wraps off watchOS 3, which will debut this fall. 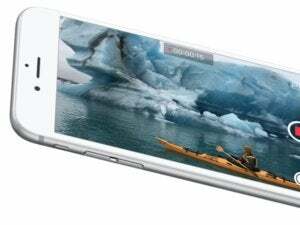 But will the next-generation operating system have a new device to put its super fast app-loading times and brand-new fitness features to good use? Apple Watch 2 rumors have been flying since the first watch started shipping last April. We’ll stay on top of the latest reports and figure out if they’re plausible or just wishful thinking. The rumor: Originally, the Wall Street Journal reported that the Apple Watch 2 would include cellular connectivity. That might mean yet another data plan to pay for, but the watch would function on its own instead of being tethered to an iPhone. Now Bloomberg has just found out that Apple is running into some roadblocks developing an iPhone-free Watch with cellular capabilities. 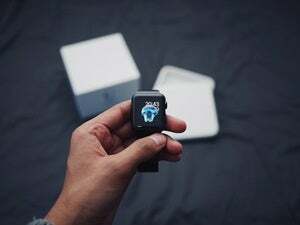 The issue stems from the Watch’s cellular chips draining the device’s battery too quickly, which would result in “limiting user appeal.” Apple is moving forward and will still release a new Watch model in September with GPS tracking, saving the cellular option for a future version down the road. Plausible? Yes—Bloomberg is very reliable and it confirms the earlier WSJ report about Apple’s interest in a cellular Watch. With just a few short weeks before the Fall event, it seems very likely that Apple will be able to turn things around. Which most likely means we will have to wait until at least next year for a Watch that doesn’t need to be tethered to your iPhone. Same design but with GPS tracking? The rumor: While we’ve been hearing more about the iPhone 7 than the next Apple Watch, KGI analyst Ming-Chi Kuo maintains that the Apple Watch 2 is slated for a September debut, 9to5Mac reports. Even better: The new hardware will have a GPS, improved water resistance, a faster processor, and a barometer. Kuo is pretty certain that Apple will keep the watch’s existing design for the new release, but you can bet on a dramatic exterior overhaul for Apple Watch 3. Kuo predicts that Apple will keep selling the first-gen Apple Watch with a new chip to make all those watchOS 3 features run a lot faster. Given Apple’s natural tendency to discount older products, you can expect up to $100 price cut on Apple Watch 1 models when the Apple Watch 2 goes on sale. Plausible? Kuo has a solid track record for Apple predictions. Plus, the first-gen Apple Watch was introduced almost two years ago, so it seems about time for Apple to give it an upgrade. Software improvements are coming with watchOS 3 this fall, but the watch needs better internal components to really stand on its own. The rumor: Older reports reaffirm Kuo’s prediction that the second-gen Apple Watch is slated for a September launch alongside a brand new iPhone. One comes courtesy of Digitimes, whose supply chain sources say Apple Watch 2 chips and components are scheduled to ship in Q3 (which is in line with a September launch). The company is also stepping up its Apple Watch orders to an estimated 2 million a month, which signals that they’re expecting to sell more devices. Why would people buy more watches? If there was a brand new version that was far better than the current model. Plausible? Apple is known to preview major software releases ahead of hardware launches, so it would make sense for Apple Watch 2 to ship with watchOS 3. The sourcing on this report isn’t great, but Kuo’s prediction backs it up. The rumor: KGI Securities analyst Ming-Chi Kuo issued a research note back in April with guidance on the Apple Watch 2, and he noted that the second-gen model will have “limited changes to form factor design.” Kuo said he expected internal improvements, which fall in line with the WSJ’s report about cellular connectivity and faster processor. Plausible? Yes. The Apple Watch’s design isn’t a problem, so it makes sense for Apple to focus on the device’s internal shortcomings than giving it a hardware overhaul. There are a few other features that would make the Apple Watch a more compelling buy, like GPS and longer battery life. I’ve argued before that the watch needs to take advantage of its position on your wrist to become the ultimate health companion—though I expect that effort will take much longer to come into being. Apple is also pushing developers to build better apps for the watch, partly by mandating all new watch apps submitted to the App Store run natively on the device. The company is making those native apps a whole lot faster and much more useful with watchOS 3 features like background refreshing, the new app-switching watch Dock, and continuous access to all of the watch’s sensors. What do you want to see in Apple Watch 2? Let us know in the comments.